I recently decided that I need a break from all this technology, because it’s everywhere and unavoidable. Today, I feel like distancing myself from smartphones, tablets, the Internet and everything in between so I got inspired by the good old days when people kept in touch by using trusty and sturdy paper and pens. 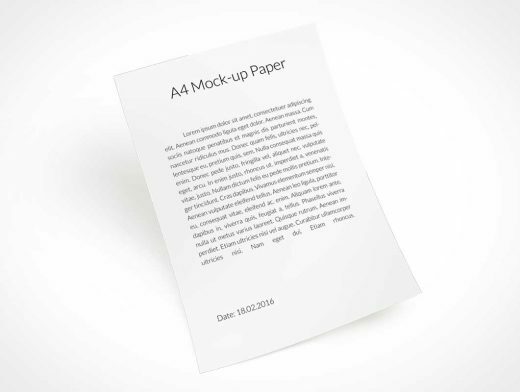 Flex your penmanship muscles or at least remember those times with this new A4 Paper Mockup freebie PSD.